ASME B30.20 and ASME BTH-1 are the two main standards that should be followed for below-the-hook lifting device compliance. If you familiarize yourself with these standards and make sure that the below-the-hook lifting device is properly marked and tagged in accordance with the industry guidelines, then you’ve gone a long way towards making sure your below-the-hook devices are OSHA and ASME compliant. 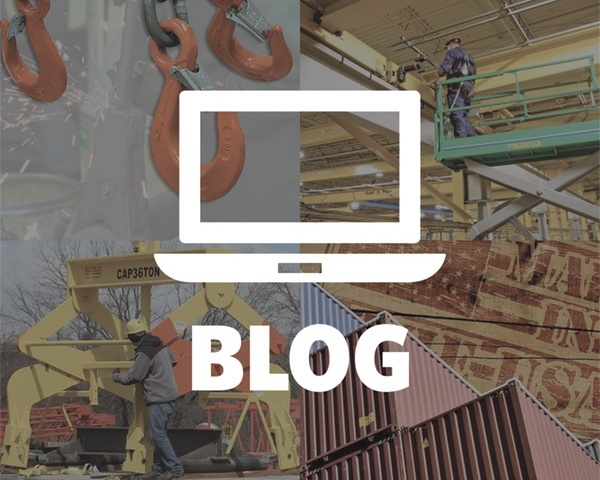 Below-the-hook devices are sometimes an afterthought when safety and compliance personnel self-assess their lifting and rigging programs for compliance. 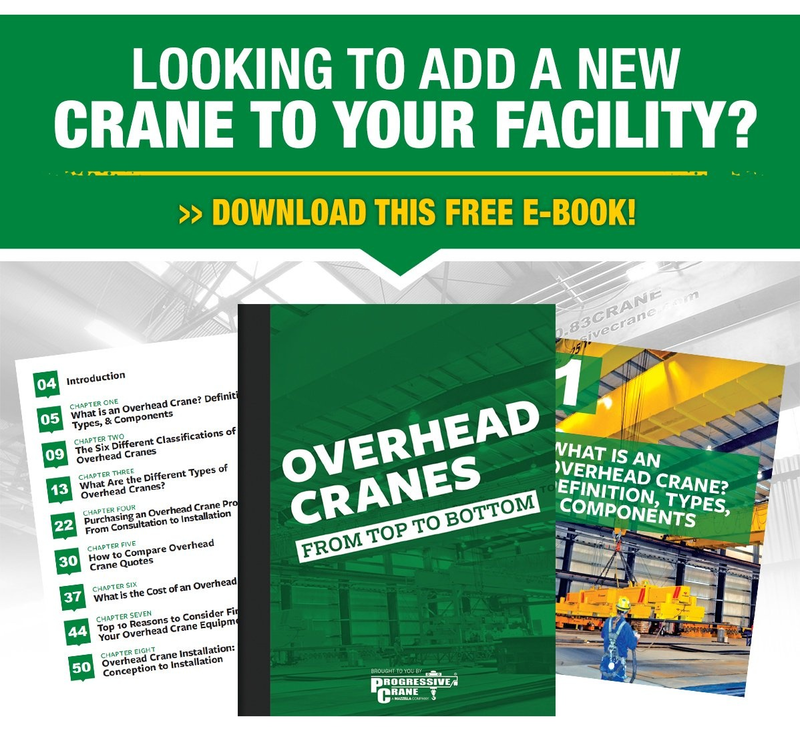 It’s not that uncommon to see a company who has taken the steps to evaluate their overhead cranes, mobile cranes, and slings or rigging equipment for compliance, but have overlooked their below-the-hook lifting devices. Read on to learn what information should be marked on the device itself, what kind of markings or information should be on the device, the criteria required for each type of tag, and inspection frequencies. The rated load of the lifting device must be legible and clearly marked on the device itself or on a tag attached to it. Let’s start with making sure you meet the ASME B30.20 requirements. For any lifting device you have, you want to make sure it has the rated load marked legibly on the device itself, or on a tag that is attached to it. If the lifting device is made up of several lifters, each detachable from the group, then each individual lifter shall also be marked with the individual rated loads. A nameplate or other permanent tag must be attached to the lifting device, and include the manufacturer's name, serial number, rated load, ASME design category, and ASME service class. Now you might be reading this and asking yourself, “what are below-the-hook design categories?” ASME BTH-1 specifies that there are two different options that you could have—either Design Category A or Design Category B. Design Category (DC) A lifting devices are limited to a Service Class of 0 only. These lifters require a lower design factor and therefore require a much stiffer criterion to meet this. 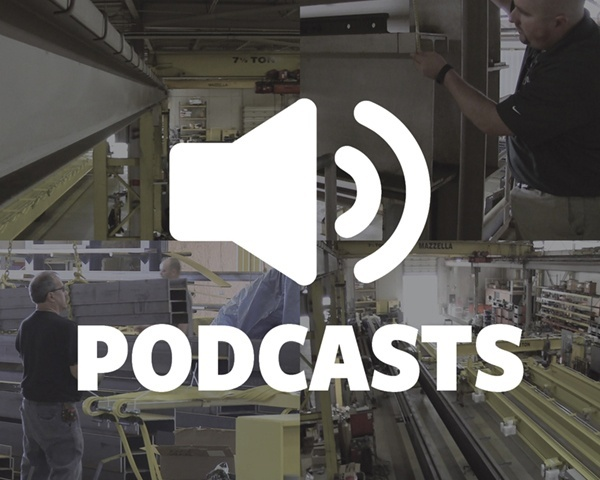 Typically we see DC A lifters on paint lines or in rapid manufacturing locations where the load is identical every time and there are no outside conditions acting on the load. Design Category B, as defined by ASME BTH-1, should be designated when the magnitude and variation of loads applied to the lifter are not predictable, and where loading and environmental conditions are severe or not accurately defined. This is the most common design category with most below-the-hook lifting devices falling under Design Category B. These lifters can fall under service class 0-4 and require a design factor of 3:1. The Service Class of a lifter is based on the load cycles that a lifter will see in a 24-hour period. The service class 0-4 designation defines the total life cycles a lifter can see based on the specified fatigue life of the lifter. Product safety labels are another requirement laid out by the sanctioning bodies. Now, there is some grey area to product safety labels, as the standard states that they can be applied where the size and shape of the lifter allow it. There does not need to be an individual tag for each of these items. In fact, most manufactures group the majority of these requirements onto a single tag. 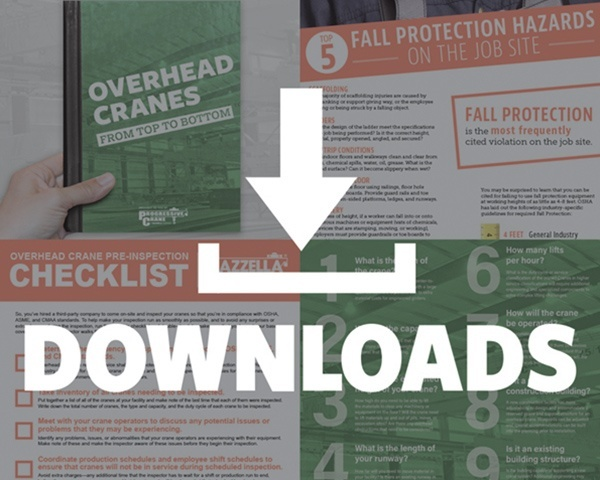 Failure to inspect your below-the-hook lifting device, and failure to maintain proper inspection records, are two of the most common reasons that your lifting or rigging program may not be fully compliant with OSHA and ASME standards. Prior to and during use - Your operator should inspect the below-the hook device before and during each lift made by the lifter. Periodic Inspection – Visual inspection by a qualified person making records of apparent external conditions to provide the basis for a continuing evaluation. An external code mark on the lifter is an acceptable identification in lieu of records. Special or Infrequent Service – As recommended by a qualified person before the first such occurrence and as directed by the qualified person for any subsequent occurrences. All in-house engineered lifting products still need to conform to ANSI/AWS D14.1 welding requirements, as well as ASME B30.20 and BTH-1 load rating and identifying tag standards. The next item you need to be aware of is the construction side of the lifting device. All welding must be done in accordance with the ANSI/AWS D14.1 Specification for Welding of Industrial and Mill Cranes and Other Material Handling Equipment and ASME BTH-1. If you’re buying your below-the-hook lifting device from a reputable manufacturer, then you don’t even need to worry about this part of the process. The manufacturer will ensure all welding is performed in compliance with ANSI/AWS and ASME standards. ASME B30.20 and ASME BTH-1 are the two most important standards when it comes to the design and markings of a below-the-hook device. If you partner with a reputable manufacturer, they’ll take care of most of these requirements—it will just be your responsibility to make sure that all markings and tags remain legible and that your below-the-hook devices are inspected and you retain the inspection records. At Progressive Crane, we have more than 50 years of field application experience and in-house manufacturing. This has earned us the reputation as a leader in the design and development of custom engineered below-the-hook lifting devices and lifting attachments for use with all types of cranes. 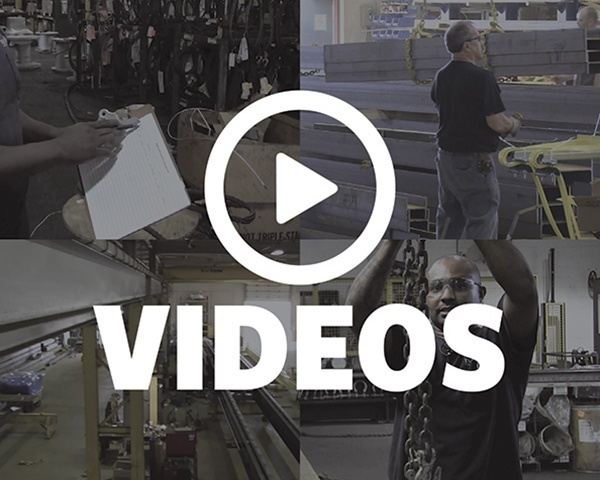 If you have any questions about the design, specifications, and requirements for full OSHA/ASME compliance for engineered products and below-the-hook lifting devices, please don’t hesitate to contact us.